Call Rumbi 0438 187 611. Places filling fast. Recommendations to families to become part of Learning Ground come from schools in the area, agencies working in connection with local families and by word of mouth. TERM ONE: 18 February - 11 April every Monday and Thursday 9.30am - 2.30pm. Morning Tea and Lunch provided. In all circumstances a family member or support person over 18 is encouraged to participate in the program with the young person concerned thus creating a very supportive role at home. “I’m coming back to Learning Ground this year because I’m not interested in jigging school any more and really want to be sure I can concentrate on my school work, I want to go to TAFE next year” - Year 9 student. "At Learning Ground I matter to someone, and they matter to me, I really think I could make a life now" - Year 10 student. TERM ONE: 20 February - 10 April every Wednesday 10:00am - 2:20pm. Morning Tea and Lunch provided. All young people are invited to be accompanied by a family member over 18 years to act as a support person. “I’m going to Learning Ground this year because I am quite scared of going to High School next Year, my brother went there and he says it taught him to feel much better about himself” - Year 6 girl. "I'm even getting to be nice to the cops now, the stuff we have at Learning Ground works" - Year 7 boy. "My Mum listens to me better now, she says it's because I listen to her" - Year 5 girl. Learning Ground is a behavioural change management program designed to happy up and encourage school attendees and their family members. At Learning Ground we are assisting participants to become active in school, to enjoy school life more and even to become school leaders now and community leaders for the future. Together we examine how we develop in Five Ways – Physically, Intellectually, Emotionally, Socially, and through our belief systems. It is fun learning this way together but also very helpful in learning to like ourselves and to get on with others better. We would expect over the term to develop a deeper appreciation for family, for teachers and school life, and to become much more confident in dealing with others, especially those it has been hard to get along with. 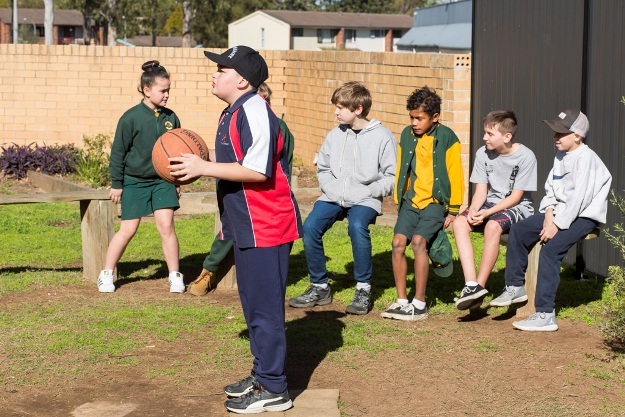 In examining our belief systems we will pay particular attention to learning about beliefs unique to Australia, dreamtime stories and their meanings, understanding Aboriginal totems and their significance, connections to land, and bush tucker tales are all a valued part of the learning. 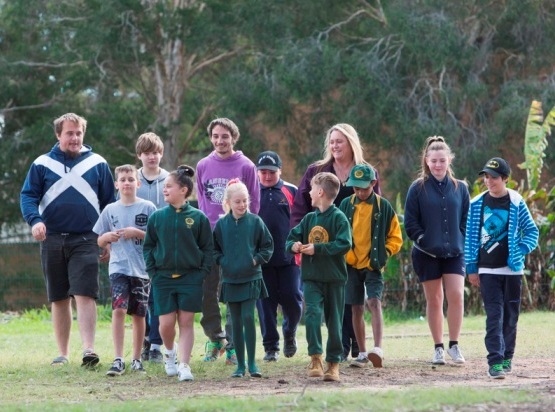 We will listen to, think about and try to remember some key words in the traditional Aboriginal language of the region in which Learning Ground is situated, the Darug language. 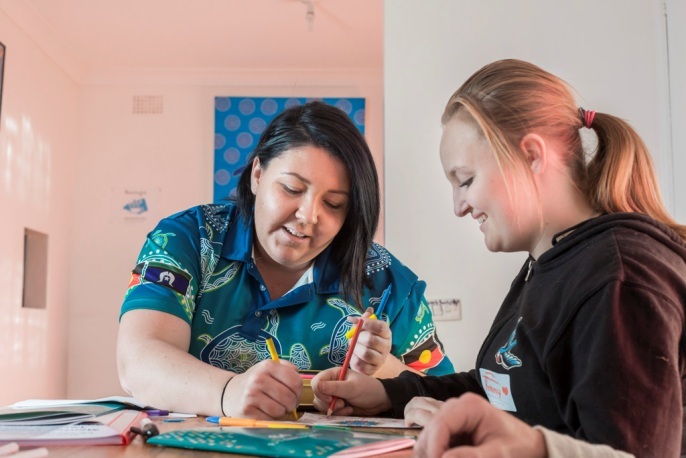 The work we will do is important to participants of Aboriginal background but is equally important to non-indigenous and all other participants too who thrive when they find themselves part of Australia’s unique story of belonging. “I didn’t ever talk to Aboriginal people, I didn’t even like them, and now I am so proud to have learned so much about Aboriginal culture, these ideas and learnings should take place in every school in Australia so all Australians can know the truth” - Mother of young girl.